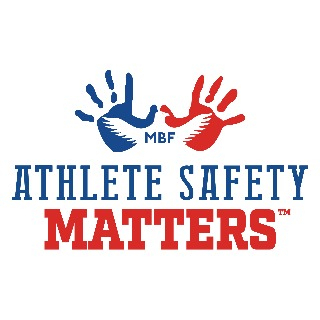 MBF Athlete Safety Matters™ is a comprehensive, evidence-informed program that educates and empowers youth athletes with information and strategies to prevent, recognize, and respond appropriately to bullying, cyberbullying, the four types of child abuse (physical, emotional, sexual, and neglect), human trafficking and digital dangers. 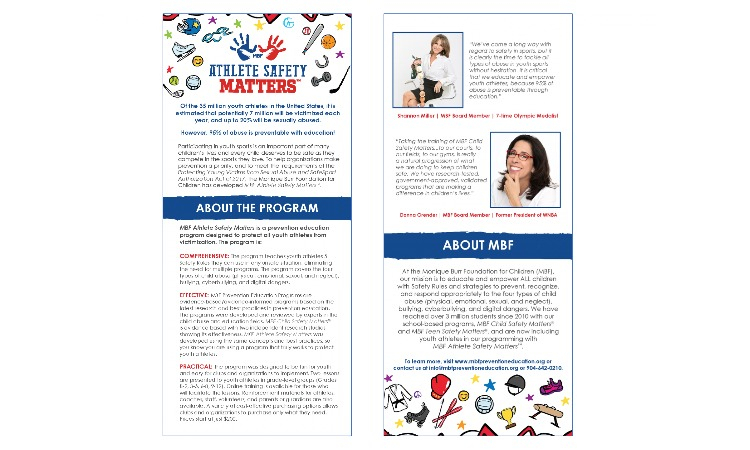 The program is presented to youth athletes clustered by grade level (K-2, 3-5, 6-8, 9-12), in two comprehensive lessons that are approximately 45-55 minutes each – or it can be presented in four shorter lessons. Trained facilitators can easily present the lessons in any venue (with minimal technology required) using turnkey scripts along with engaging, interactive PowerPoints including lecture, group discussion, skills-practice activities, videos, and games.